The Capitol View: Is This What Being “On the Mend and on the Move” Looks Like? Is This What Being “On the Mend and on the Move” Looks Like? Governor Patrick has been fond of saying Massachusetts in “on the mend and on the move” lately but the recent layoff announcement from State Street Corp. is yet further proof that our Commonwealth still faces serious economic woes. 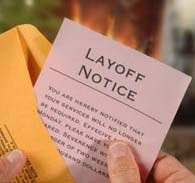 In the last month, several big companies including Genzyme, Biogen and Raytheon have announced significant reductions in their work force. Despite this news, Governor Patrick continues to take a victory lap around the state insisting Massachusetts is recovering faster than any other state in the nation. Tell that to the 400 workers who are being handed pink slips at State Street. This Administration and the Democratic-controlled Legislature needs to get serious about getting Massachusetts residents back to work. We need to tackle this issue right out of the gate when the new legislative session convenes on January 5th. One thing everyone can count on moving forward is that the Republican Caucus will be offering a number of proposals that will provide a better economic climate to foster job growth. Specifically, we will be working to provide a more stable tax policy, contain small business health care costs and incentivize opening a small business in Massachusetts.